On Facebook, a demonstration organized by PEGIDA listed 181 potential participants an hour before the start time, comparably, the anti-PEGIDA protest Facebook event had 440 participants three days before the protest. The leader of a Quebec-based Islamophobic group told a reporter he will not be attending the group’s planned protest against the “Islamization” of the west after receiving threats on Facebook, according to counter-protest organizer Jaggi Singh. 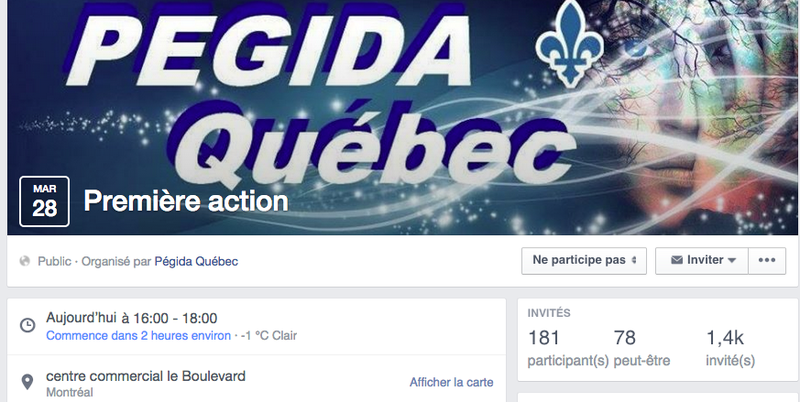 The Quebec chapter of Patriotic Europeans Against the Islamization of the West (PEGIDA), a German right-wing anti-Islamic group, had a protest planned for 4 p.m. in Montreal’s “Little Maghreb” neighbourhood. Singh said La Presse reporter Laura Julie-Perreault told him the group’s leader, Jean-Francois Asgard, would not be going while interviewing him. Singh told The Link that Asgard is using the threats as an excuse not to show up. Members of the Quebec National Assembly have denounced the group. Though the group plans to march from a supermarket parking lot on Pie-IX Street towards a local mosque at 4 p.m. today, Singh said the counter-protest plans to block PEGIDA’s march entirely.